Each classroom at Children’s Garden is lead by a team of teachers, all who are either certified AMS/AMI Montessorians or who hold degrees in Early Childhood Education. CGMS sometimes serves as a student teaching site for Montessori interns from local Montessori training programs. holds a Master’s Degree in Education, has AMI training at the infant-toddler level, and Montessori Center International (MCI) training at the primary level. 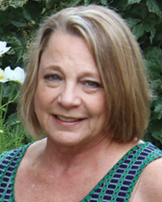 She is the mother of two graduates of Children’s Garden, and joined the staff in 2006.
has been with Children’s Garden for over 20 years, as a Montessori classroom teacher, studio teacher, summer camp director and administrator. She has an AMS Early Childhood and Director credentials. Her daughter, now a college student, fondly credits Children’s Garden for her unquenchable thirst for learning. Angelina Lloyd is our studio teacher. 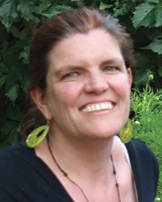 She holds an AMS Early Childhood credential and NAMTA Early Childhood Credential and is an active artist. 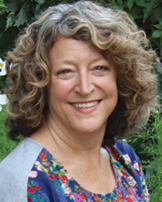 Her graduate degree is in Educational Psychology with an emphasis on Human Growth and Development and the educational philosophies of Reggio-Emilia, Italy. She has been in the studio for six years, and with Children’s Garden from 2006. 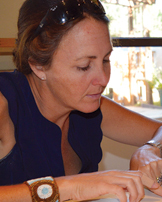 Amy Laugesen, our artist residence, works with the children in the studio one day a week with clay. She has been with the school for four years, and is an active ceramics and installation artist in the Denver area. Kirsten Goode began teaching at Children’s Garden in 2015, after finishing her AMS Early Childhood certificate. In 2016, after falling in love with the toddler program and philosophy, she returned to MECR to complete her AMS Infant-Toddler certificate. 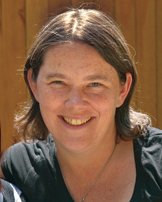 She also holds a BA in Early Childhood Educational Studies, Psychology, and Women’s Studies. 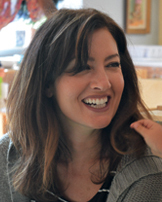 Claire Jackson was born and raised in Denver and attended the University of San Diego. She holds an elementary teaching certificate. She has taught preschool, Kindergarten, first grade literacy and ESL (K-5th grand) for 10 years in California and Colorado. She came to Children’s Garden as a parent in 2012 when her son started in the toddler class. Her husband also attended Children’s Garden as a child, and she is honored to be a part of this special community as a parent and a teacher in the WHAM class. 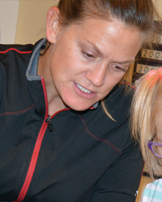 Vida West has worked at Children’s Garden since 2005, and is in the WHAM primary classroom in the mornings, and in Extended Primary in the afternoon. 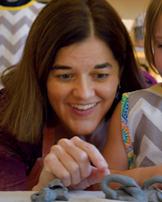 She is AMS Early Childhood Credential, and also holds a Colorado elementary education license. Both of her children attended Children’s Garden from toddlers through Extended Primary. Coco Turnipseed attended CGMS as a young child, returning as a teacher in January 2001. With a Master’s Degree in Education, Coco has worked in every classroom in the school. Additionally, she is the mother of a CGMS graduate. *Coco teaches in both Ward Hobbs and the 440 Classrooms. Michelle Bower came to CGMS with over 16 years experience when she began teaching here in 2015. 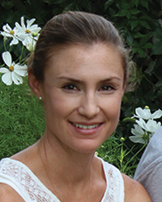 Born and raised in South Africa, Michelle holds an AMS credential at the Early Childhood Level. Dale Keppler started at CGMS in January 2016. 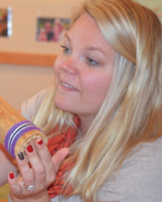 With a Masters of Arts in Teaching, Dale has taken two Montessori Early Childhood Trainings. When not at work, she enjoys hiking in the mountains with her dog. Vida West and Michelle Bower are the Extended Primary teachers. Their bios are found above in Ward Hobbs and 440 Classroom, where they teach in the morning. Nancy Kadlec has been a Child Care Health Consultant since March of 2005 when her daughter was in preschool and her school asked her to be their Consultant. She enjoyed it so much that she decided to make this a business and started NBK Consulting. L.L.C. 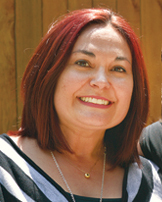 Currently she is consulting for pre-schools, child care centers, charter schools, home day cares and summer camps. The following serve on our Board of Directors: Hilary Haynes (President), Jennifer Johnson (Secretary), Jenny Holtze (Treasurer), Bobbie Hobbs, Emily Hobbs-Wright, Jim Salenblatt, Jaala Sheldon, Kara Vinton, Judy Ward, and Anika Williams. a garden full of growth, come visit!